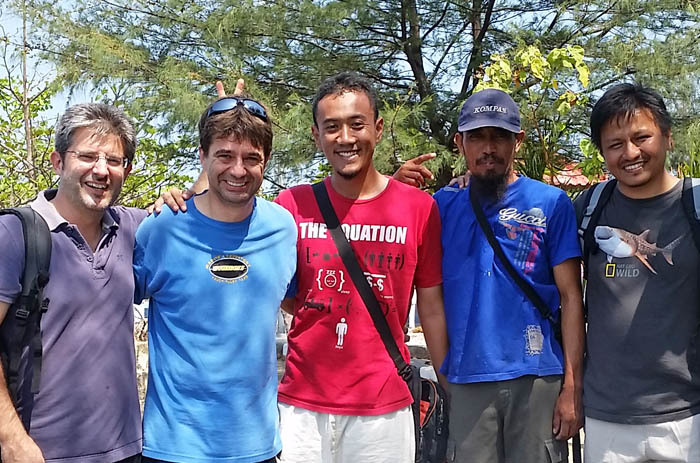 A large-scale survey conducted by an international team of researchers formed within the EMBRIO Initiative resulted in an alarming finding: the potentially invasive “black disease” sponge Terpios hoshinota has so far been severely underreported in Indonesia. 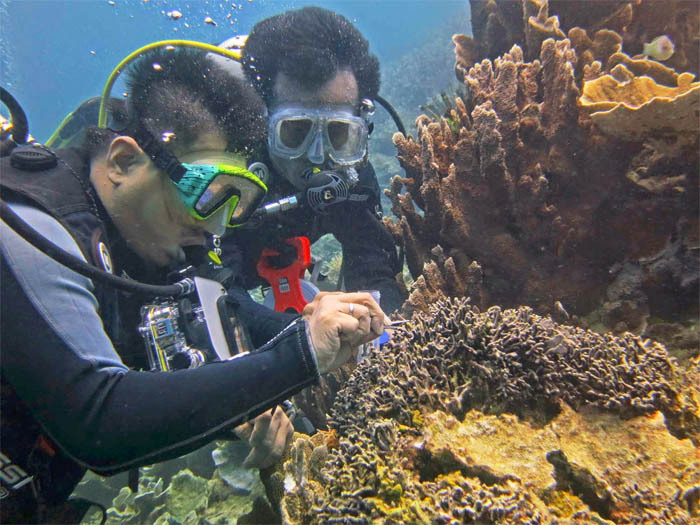 The EMBRIO researchers found the sponge infesting numerous sites across the Indonesian archipelago. 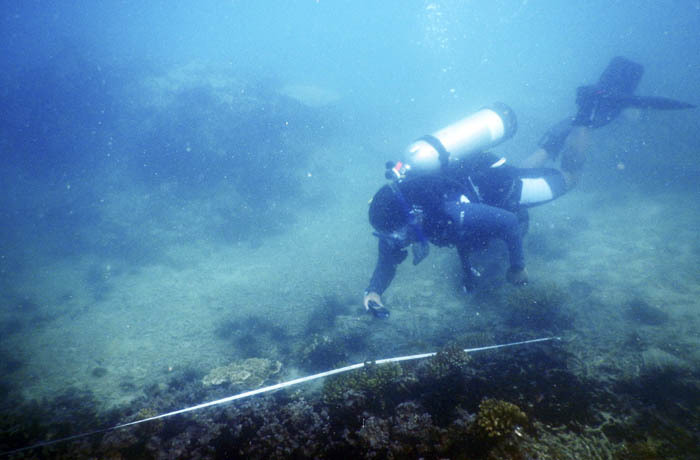 At two sites it outcompetes and kills corals over extensive areas and has been persistent in the reefs for prolonged periods of time (at one of the sites for more than four years). Future research by the EMBRIO team will have to reveal whether there is an increasing trend in the prevalence and persistence of Terpios hoshinota. Only this way it will be possible to assess the threat this sponge poses on the survival of corals in Indonesian coral reefs. The report on the persistent outbreaks of Terpios hoshinota was published by the scientific journal “Marine Biodiversity” of the Springer International Publishing AG. Underwater monitoring of the growth dynamics of the “black disease” sponge.